Digital marketing has revolutionized the industry, leaving many organizations scrambling to adapt their teams. 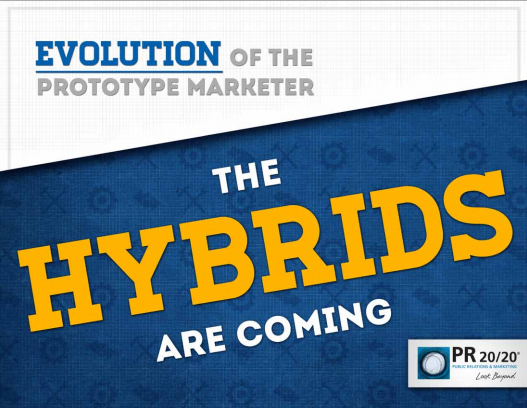 In Evolution of the Prototype Marketer (download the free ebook), we delve into the marketing industry’s rapidly growing talent gap, driven in large part by the velocity of change, rapidly evolving consumer buying behaviors, and demands being placed on marketing leaders to show measurable business results. So what does this mean to your organization, and marketing team? Next-generation marketers are emerging today. They are generalists who are proficient in a variety of core marketing activities, analytical, creative, tech-savvy and driven. They push the limits of marketing and tie outputs to measurable results. We call these individuals hybrids. Section 6 of Marketing Score focuses on the skills of a modern marketing team. While not all employees may possess or excel at every skill, it’s important to recognize the strengths and weaknesses of your team, then train or hire staff to better accommodate your needs, or outsource them to marketing agencies or specialists. Coding/Programming: While your company may not staff developers, your marketing team should make a point to understand the basics of coding/programming. Copywriting/Publishing: Marketers must be strong writers, as they construct the messaging that represents your company. They must write grammatically correct, with creative style, persuasively and concise, and accommodate style the given format, be it a website landing page, email or traditional press release. Data Analysis: There is a growing need to prove investment in marketing through ROI. Marketers must have strong analytical skills—the ability to interpret website and marketing data, gauge the success of a campaign, and communicate meaningful results. They must be able to turn information into intelligence, and intelligence into action. Email Marketing: Opt-in email marketing is an effective way to reach your customers, leads and prospects, and can be used to distribute action-oriented messages, including company announcements, product updates, new premium content and more. Effective email marketers understand the buyer’s pathway, capture and target lists, segment messages for audiences, and tweak campaigns based on performance. How well does your marketing team integrate email solutions into their communication plan? Event Planning/Production: How capable is your team at planning events for your business, networking purposes or other professional groups? Do they have connections with local vendors, venues and professionals? 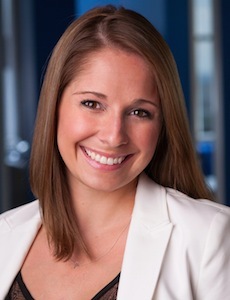 For event-focused organizations, this skill set is vital to executing a successful event. Graphic Design: Visual storytelling is critical in modern marketing, and strong graphic design skills are key to enhancing the value and sharability of your marketing assets. Similar to coding/programming, teams need to either have capabilities in-house, or a trusted outsourced partner. Lead Management/Nurturing: How effective is your team in managing and nurturing leads received through communication channels—website, form downloads, phone, social media, etc.? Use of a CRM or automated marketing solution is essential to organizing and engaging these leads through the funnel. Mobile Strategy: According to the research firm Strategy Analytics, in October 2012, global smartphone users rose above one billion for the first time ever, with users expected to reach two billion by 2015. We are constantly connected through mobile web browsers, social media, product and service apps, texting, and more. As smart phones continue to dominate the market and consumer usage rates increase, your team needs to have an understanding of how your company can make a play in mobile, and which format makes the most sense for your business and its customers. Paid Search Management: If structured appropriately—with a pre-determined budget, intelligent segmentation, optimization and effective call-to-action—pay per click (PPC) campaigns can drive results for your business. Marketers need a technical understanding of how paid search programs work, and continuously evolve strategy based on results. Public Relations: PR encompasses any activity, online or offline, designed to improve communications and build relationships. This includes, but is not limited to: analyst relations, blogger relations, community relations, crisis communications, employee relations, media relations and public speaking. Marketing professionals with PR skills are valued assets in the modern marketing mix. How does your team measure up? Search Engine Optimization (SEO): According to Google’s Zero Moment of Truth study, consumers reference 10.4 sources of information before making a buying decision. Are they finding your company online? Does your marketing team have a keyword universe it utilizes to optimize website copy, social media accounts and updates, online listings, and PPC campaigns? How capable are they in driving inbound visitors to these channels through targeted keywords, and how does organic search impact your conversion rates and sales? Social Media: Social networks are critical to marketing and customer service. More than ever, consumers turn to social media to receive updates from brands, consult with friends and read reviews of the businesses they interact with. How well does your marketing team integrate social media with their communication plan, and respond appropriately on behalf of the brand? Strategic Planning: The best plan is to prepare for perpetual change. The range of possible marketing activities can seem endless. What a marketing team must excel in is how they all work together as part of an integrated, strategic plan. How well does your team conceptualize the marketing strategy, select a course of action and determine upfront what the core KPIs of that program will be? Video Production/Editing: Video is one of the most visually stimulating ways to engage your target audience. Does your marketing team have these capabilities, or do they partner with a reliable vendor? Website Management: Your website is a lead-generation and multi-media content publishing tool. It gives your organization the ability to build a strong brand online that creates powerful connections with audiences, and drives business growth. The goal of your site should be to connect with audiences, drive qualified website traffic and generate leads. Without a knowledgeable, driven marketing team, organizations will fall behind in their skill sets, understanding of technology and ability to run performance-based marketing programs. Join Marketing Score to assess your team, and download Evolution of the Prototype Marketer to learn more about what it takes to build a powerful modern marketing department.